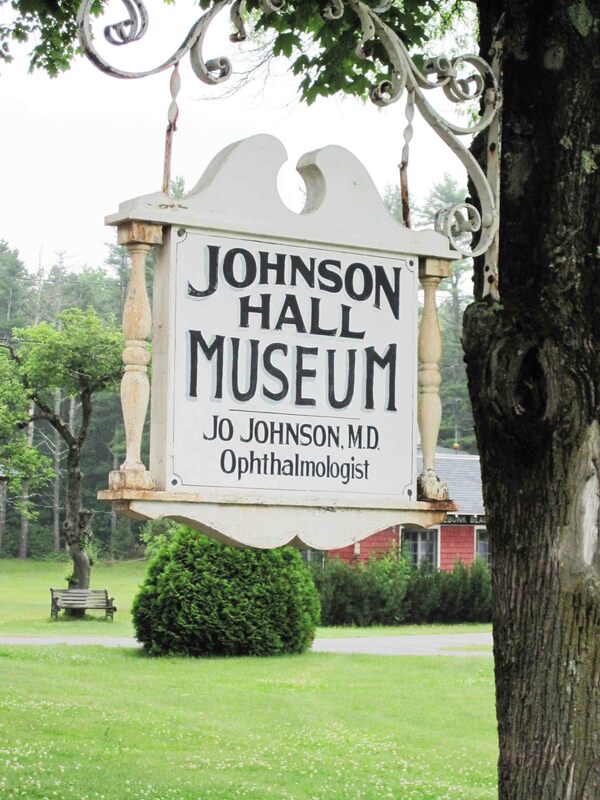 Nothing can prepare you for Johnson Hall Museum. Sure, you could catalog everything Bill Johnson has collected since he was 10 and plunked onto his 15-acre property on Route 1, outside Wells, Maine. But just try to find a theme—go on, I dare you. Bill covets everything. 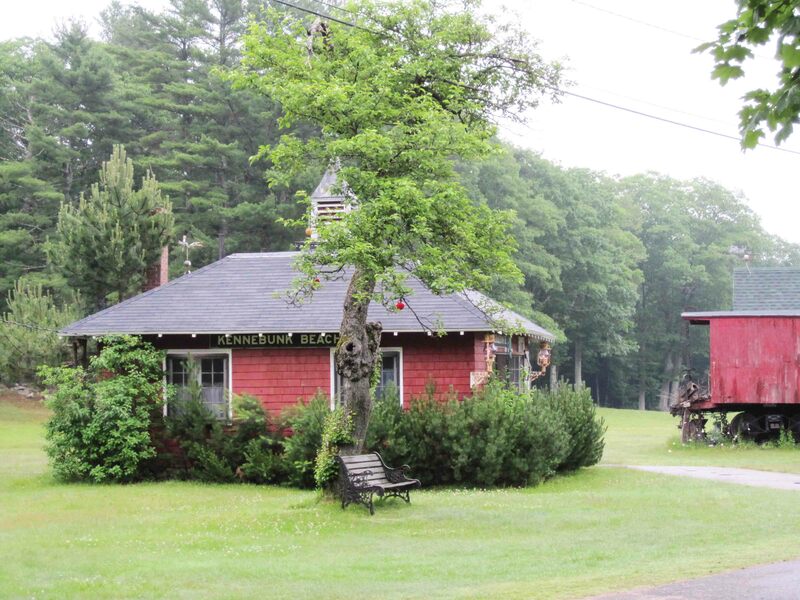 Multiple buildings that he’s dragged here from the four corners of the earth: a Sandy Cove nudist shack; a Depression-era gas station; an 18th century blacksmith shop; a weathered train depot waiting for a train. All jam-crammed with stuff. Moose heads, remnants of an old-fashioned soda fountain, player pianos. Everything here has a story. And Bill’s a natural-born storyteller. He could pass for Anthony Hopkins’ brother or Archie Bunker wearing a pith helmet over a graying ponytail. 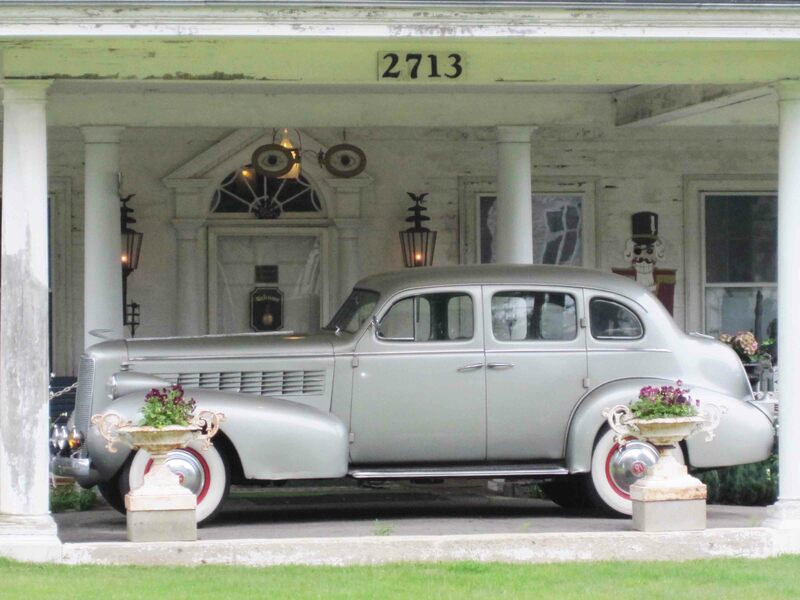 Bill’s even got a gleaming 1937 LaSalle auto with the license plate “A Bunker,” and points to it proudly, warbling, “Gee our old LaSalle ran great,” from All in the Family. Then, with a flourish, he opens the door to the main centerpiece—the former Elsie Libby Colonial Tea Room. It’s a cavernous building, overspilling with treasure. Music boxes sing songs from another era; the kitchen’s lined with vintage Garland stoves. There’s a decadent dining table from the set of a Woody Allen movie, delicate scrimshaw, blaring Victrolas, cuckoo clocks, teacup collections. Get the picture? Well you can’t. No one can. The Johnson Hall Museum abuts the Rachel Carson National Wildlife Refuge. Bill’s created a refuge of a different sort—a hideout for the lost, the forgotten, the past. A museum as fascinating as the man who imagined it—who has no limits on imagination and whose interests happen to encompass everything. 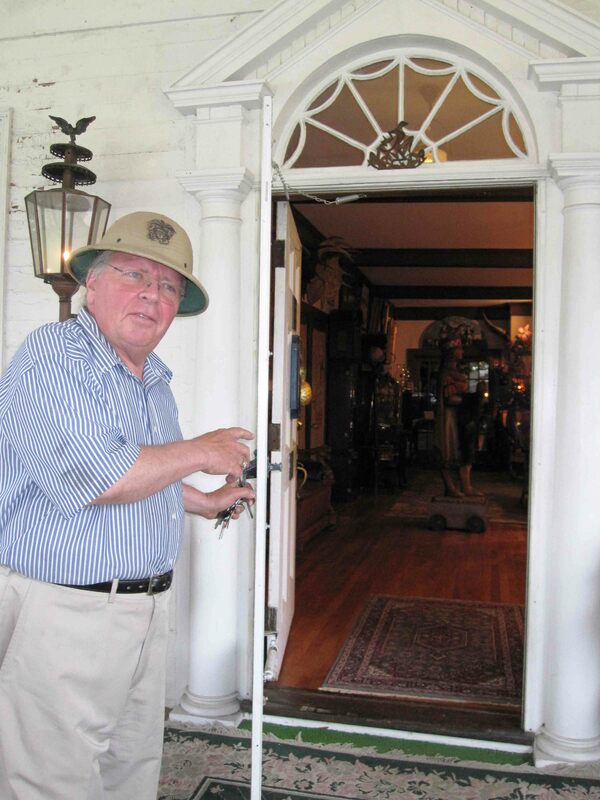 Bill Johnson passed away on Saturday, February 1, 2014, at age 73, while at an auction at Bo-Mar Hall in Wells, Maine. He was a warm and wonderful personality. This entry was posted in A Desk with a View, Travel and tagged Anthony Hopkins, Antiques, Archie Bunker, Bill Johnson, eccentric New England, Elsie Libby Colonial Tea Room, Johnson Hall Museum, Maine, New England, Offbeat New England destinations, offbeat travel, Rachel Carson National Wildlife Refuge, Wells Maine, Woody Allen. Bookmark the permalink. We met Bill this morning as eclectic as his wares, he is an awesome story teller, and terrific singer. As an old Yankee, it is refreshing to know that others still enjoy being Yankees, and he takes such pride (as he should!) 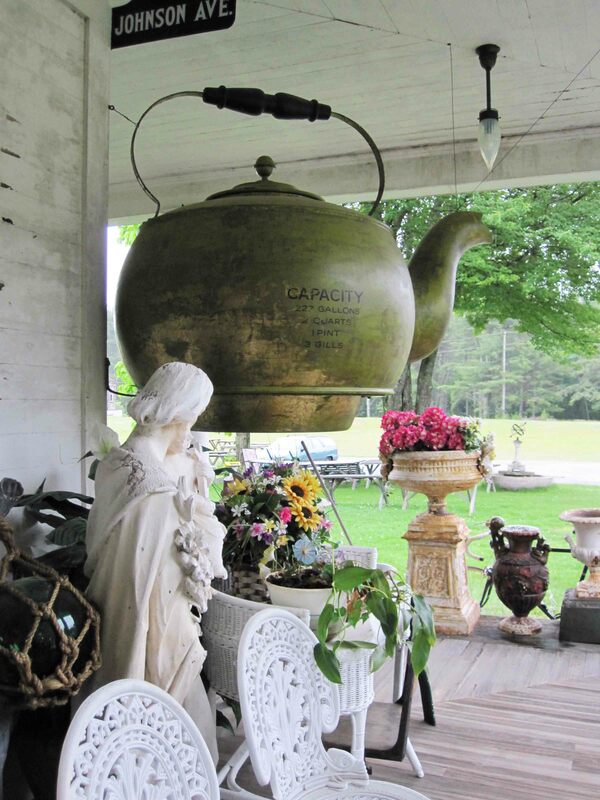 in keeping the tea house, the fabulous music, and Miss Lilly’s memory alive! Thank you Bill! Bill Johnson is one of those idiosyncratic Yankees that when you stumble upon them, you will remember forever. Definitely worth a drive to see him.